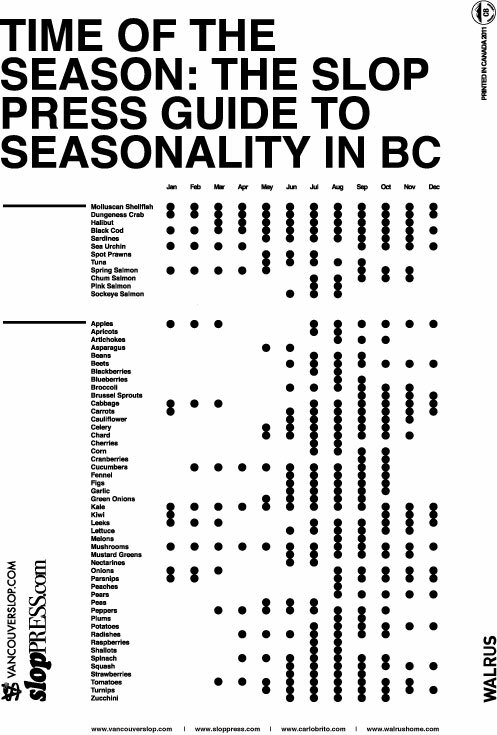 If you came early to the Slop Press event at Walrus about a month back you may have picked up one of these handouts, "Time Of The Season: The Slop Press Guide To Seasonality In BC". Sorry the resolution isn't the greatest on the jpg but if you want something to print out for your fridge you can download the pdf version here. If you are unfamiliar with Carlo's work check out his website, www.carlobrito.com. You have most likely seen his calendars hanging from your local design store, they are dope.